Monte Holm operated a successful junk yard for many years, which fit in with his long time job of scrapping logging railroads and such throughout the Pacific Northwest. 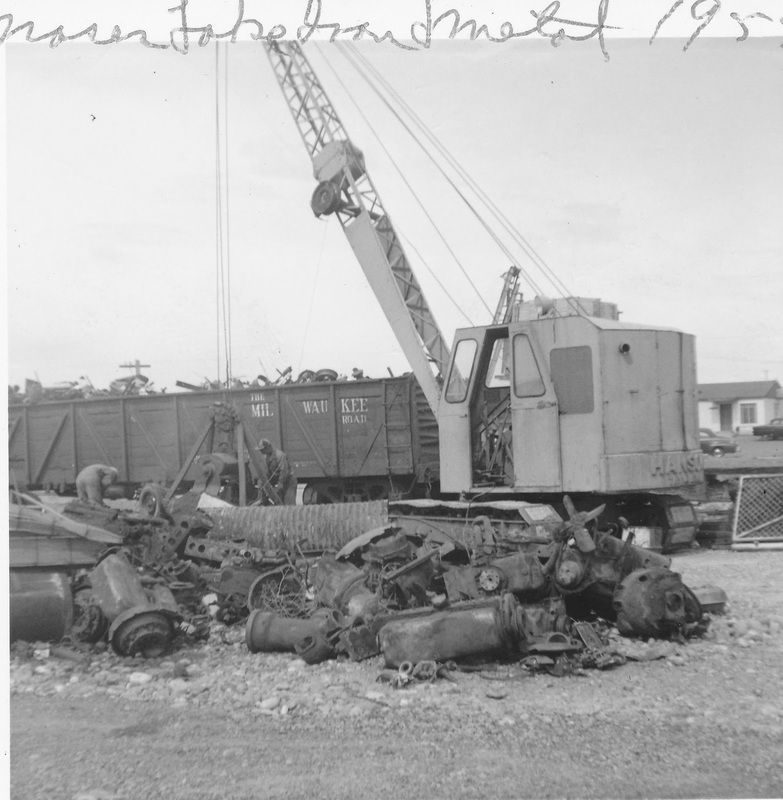 The story goes that he tried to get the Milwaukee Road to build a spur into his junk yard if he would ship 50 cars of scrap the second year of operation. He had to pay for the spur construction himself after being denied by the railroad to build it with their money. I met Monte a couple of times during visits to see his museum. He was a first class person.